Geostone decorative concrete features a range of contemporary and versatile concrete products. The colours and textures of Geostone are as diverse as Australia itself. The stone in Geostone is selected for its natural variation in colour, size and shape, which is then put through a process to ensure a tough, durable product. Choosing Geostone opens up a world of design possibilities and potential applications. Unleash your imagination and use Geostone to enhance your unique sense of style and place. Holcim Australia and its subsidiary brands Excel Concrete and Broadway & Frame are part of LafargeHolcim, the world’s largest building and construction materials company. 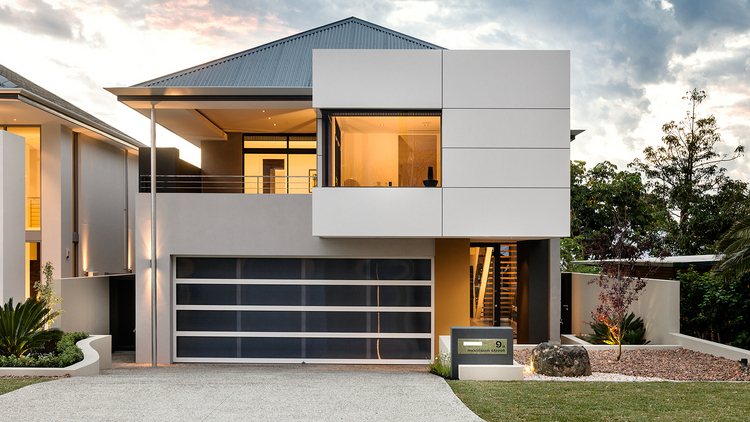 Geostone is the Australian brand name for LafargeHolcim’s global decorative concrete – Artevia. 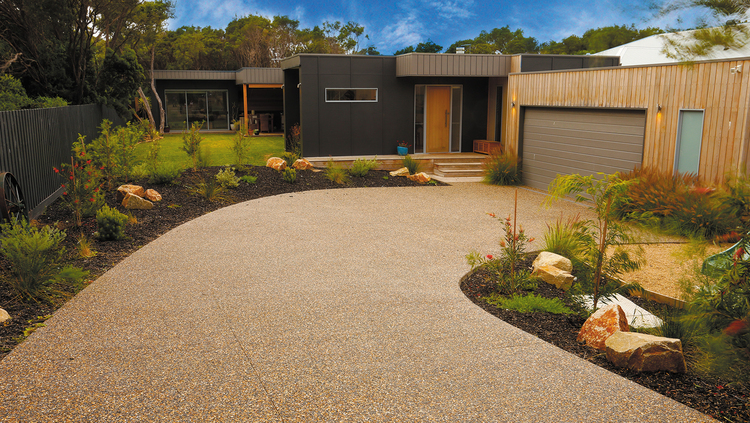 Geostone Driveway exposed aggregate concrete installed by BCS Concreting Services in Rye on Victoria’s Mornington Peninsula. 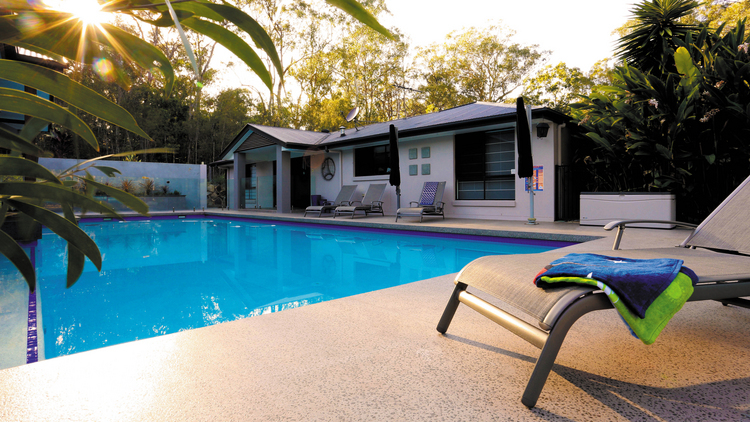 This Geostone Blackwoods product with a beige oxide was sandblasted to give a very light even exposure around the pool. The concrete was installed by Rino Martinelli of Depat. 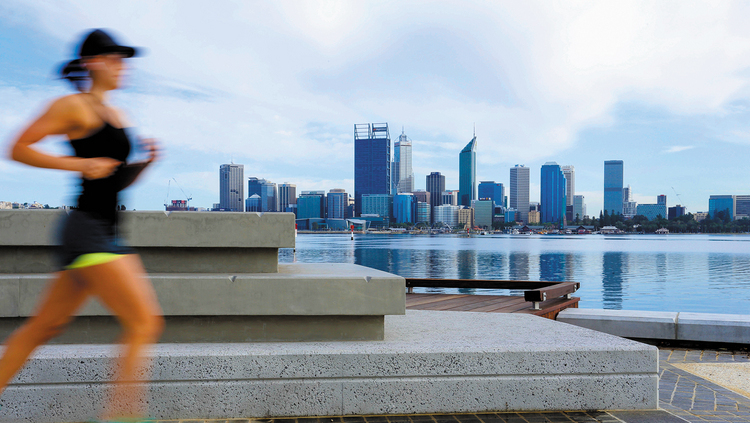 This landscaping project on the shores of the Swan River in South Perth was completed by Phase 3 Construction for the City of South Perth in 2015. The exposed aggregate concrete product was produced by Holcim to the client’s specifications. 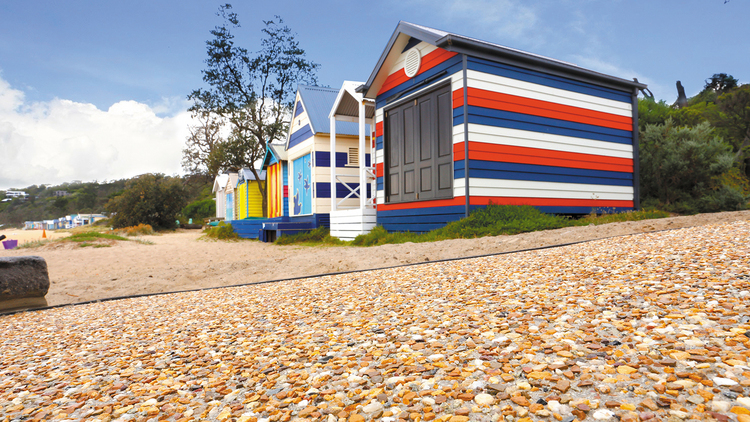 Geostone Golden Beach exposed aggregate concrete installed by A&amp;V Creative Concrete at Mills Beach on Victoria’s Mornington Peninsula. From the outset, Eureka Landscapes establish a partnership with their clients’ to understand a project’s design – grasping not only the brief and the drawings but also the vision, ethos, and creativity. A selection of stunning driveways, outdoor areas and pool surrounds complement these beautiful properties from Averna Homes in Perth. 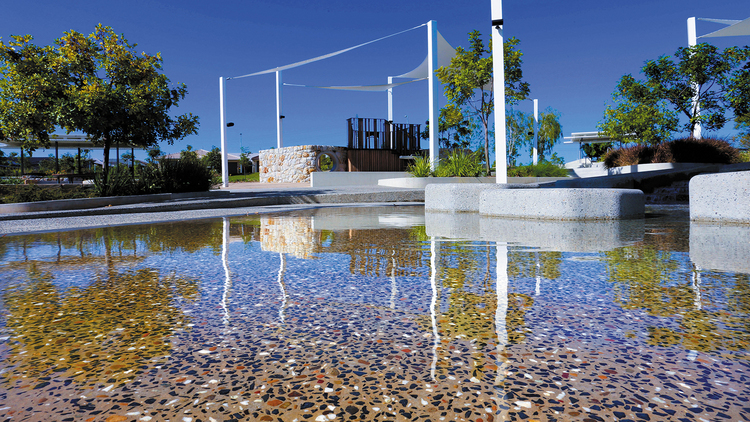 The colours and textures of Geostone are as diverse as Australia itself – view our range of decorative concretes.